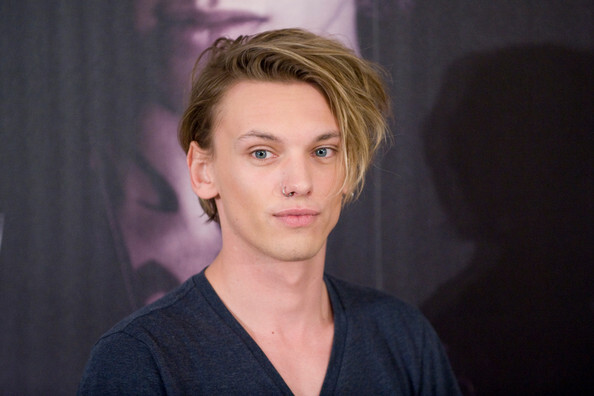 Jamie Campbell Bower Age, Height, Dating, Girlfriend, Is He Gay? 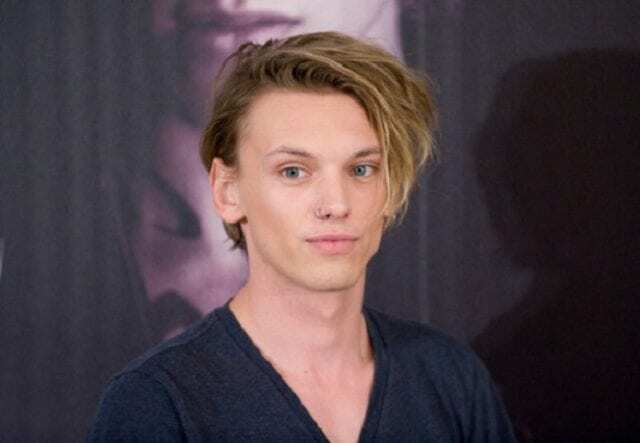 Home Actors Jamie Campbell Bower Age, Height, Dating, Girlfriend, Is He Gay? Jamie Campbell Bower is a British actor, singer, and former model who rose to prominence as a result of his role on the Twilight Saga series. Coming from a very wealthy family, he’s always had that burning desire to be his own man, a desire that made him chase his childhood dreams of becoming an actor. He can’t be categorized as a top actor yet but judging by his steady appearances on several TV shows and movies, it is only a matter of time for him to touch the sky of his chosen profession. Jamie Metcalfe Campbell Bower was born on November 22, 1988, in London to Anne Elizabeth (mother) and David Bower (father). He was born into a family with a long history of opulence, his great-great-grandfather Sir John Campbell was the governor of St Vincent and the Grenadines. His mom was a music manager while his dad was a manager at Gibson Guitar Corporation. While there is little information regarding his early childhood education, it is known that he attended the very expensive Bedales High School, Hampshire. During his high school days, he was known to exhibit a sensational talent at acting and singing with him going on to audition for the role of Harry Potter; he lost in the final round. Refusing to dwell on this shortcoming, he went on to become a versatile member of the musical theatre club in school. After he graduated from high school, he was introduced to a modeling agent by his friend Laura Michelle Kelly and after several meetings with the agent, he was offered a part-time modeling contract by London based Select Modeling Management which led to him modeling for several brands in the UK and some parts of Europe. In 2007, Jamie Campbell Bower made his acting debut in the British-American musical film, Sweeney Todd: The Demon Barber of Fleet Street, with him playing the character of Anthony Hope. The film received widespread recognition, earning him a role as Rocker in RocknRolla and Jack in Winter in Wartime in 2008. Also, it saw him take part in the British TV series, The Prisoner. His big break finally came in 2009 when he got cast to play the role of Vampire Caius Volturi on the blockbuster series, The Twilight Saga: New Moon as well as Twilight: Breaking Dawn. Since then, Jamie Campbell Bower hasn’t slowed down one bit. He has gone on to appear in several other movies and TV series such as Camelot, Mortal Instrument, Harry Potter and the Deathly Hallows, and much more. As a singer, he is presently serving as the lead vocalist for a band called Counterfeit. Dating/Girlfriend or Is He Gay? Over the years, there have been lots of speculations surrounding the relationship status and sexuality of Jamie Campbell Bower. In February 2018, there was an even bigger spark on issues relating to his sexuality after he posted a picture of him kissing his best friend Kelvin Zegers on the cheek over a weekend in Paris. Bower dismissed the insinuations people were making in view of the picture, stating that he’s always been straight and will always be attracted to the opposite gender sexually. Even though he is single now, he has a long history of dating hot beauties. In 2007, he was in a romantic relationship with the beautiful fashion designer and actress, Zoe Graham. Although they looked perfect and were so much in love, their relationship ended in 2009 for reasons best known to them. Shortly after breaking up with Zoe, he began dating producer Bonnie Wright in 2010. It is sad that the two met at the set of Harry Potter and the Deathly Hallows Part 1. They got engaged in April 2011, but mutually agreed to call off their engagement on the 30th of June 2012. Right after his break up with Bonnie Wright, he dated model Matilda Loather for several years but they ended their relationship in 2017. 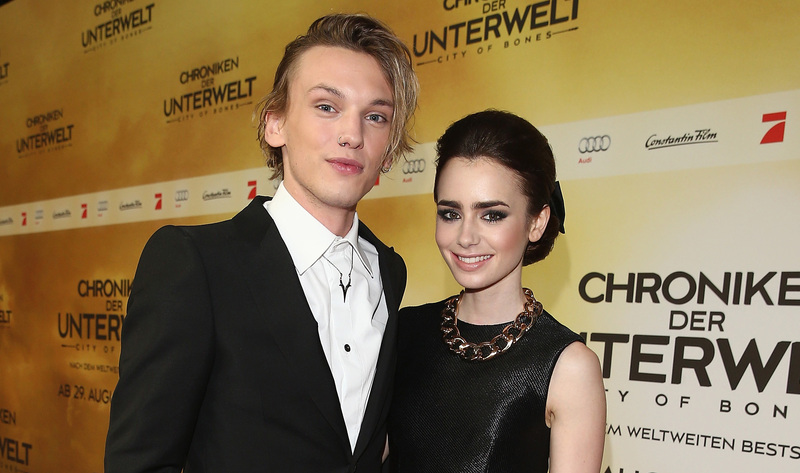 Since then, he has been in an off-and-on relationship with his Mortal Instrument co-star, Lily Collins. Standing at a height of 6 feet, Jamie Campbell Bower can be considered as being quite tall, he also has a weight of 74 kg which accentuates his body build. The rest of his body measurements include a 37-inches chest size, 12-inches arms, and a waist size of 28 inches. Jamie’s most impressive features, however, are his long blonde hair and gorgeous blue eyes.